The point-of-sale system is where a customer executes a payment, making it the last touch point before leaving the store. As such, it’s an important area to focus on when improving the customer experience to encourage satisfaction. In a click and collect model a customer orders online and then collects ordered products in the store to avoid delivery delays and costs. 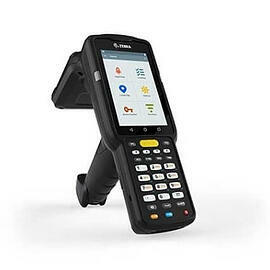 Typically, these shoppers are price sensitive and pressed for time, which means the technology integrated within the pickup process should integrate printers, computers, kiosks, and scanners to provide a quick, easy-to-use solution that demonstrates value. Store associates need to be able to check inventory and place orders to properly manage inventory numbers. Using the right technology improves inventory visibility, reducing carrying costs and reducing the risk of running out of popular items or specials. Mobile terminals with computers and printers modernize the daily task of updating prices. Enabling employees to print new price labels from the aisle increases accuracy and allows for timely updates. Time saved in receiving creates end-to-end efficiencies across the entire organization. The right technology can improve receiving process accuracy and speed up operations as well as improve communications between management and employees. Food labels on prepared foods need to convey important information regarding food freshness, ingredients, nutrition facts, and allergy concerns. Using the right labels ensures that they will remain secure during stocking and checkout, enabling informed shopping and improving food safety. The MC3330R handheld provides superior RFID read performance and receiver sensitivity for fast and accurate capture of even the most challenging RFID tags. This MC9190-Z replacement improves comfort, task speed, and ease of use from previous versions. 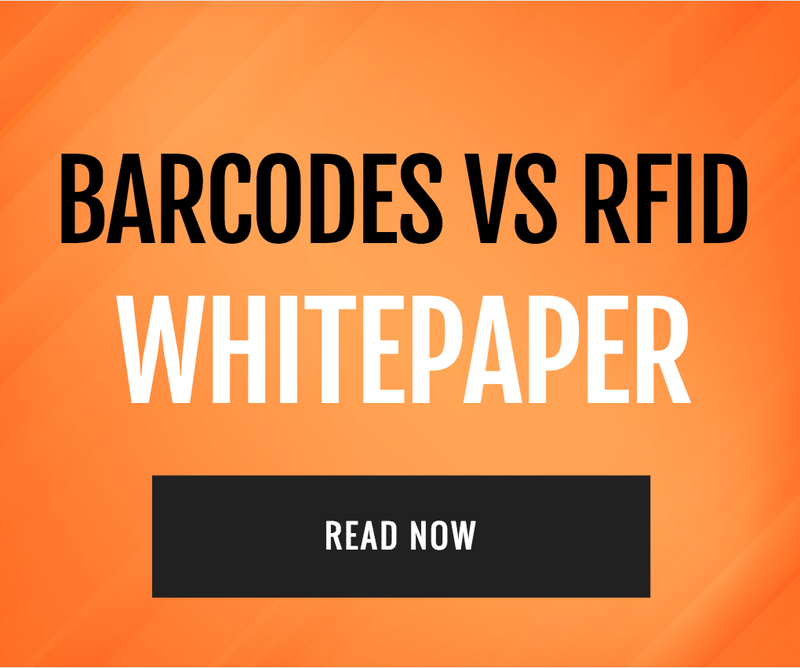 It’s also capable of capturing 1D and 2D barcodes without needing to switch devices. 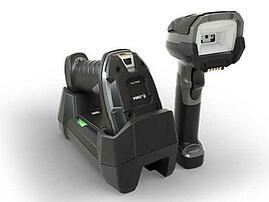 Furthermore, the MC3330R offers long-range and standard RFID reading as well as long-range scanning. 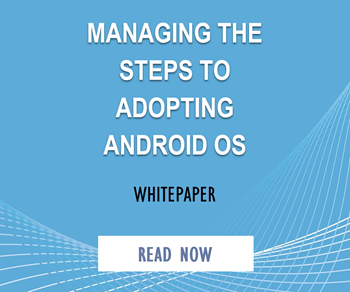 Additionally, it’s supported by Android OS to offer a familiar operating system. Based on the MC3300 series, it brings legacy RFID reading operations into the modern age. The physical keyboard and full touch screen features support both applications with a high degree of accuracy. The large display provides more space for viewing business critical data. Fast food and fast casual restaurants are adopting more technology than ever before. Tech-based trends like mobile payments, personalized customer rewards, voice ordering, and ordering/pickup kiosks are sweeping the QSR (Quick Serve Restaurant) landscape. Earning and redeeming loyalty points and rewards as well as tracking regards progress are important to value-driven consumers. Catering to customer preferences inspires brand loyalty, increasing the lifetime value of a customer. Integrating technology allows scalability of these types of efforts, as well as better tracking of loyalty program adoption. Line busting and expediting ordering at the drive-thru, in-store, and tableside uses technology to increase sales. However, this is not the only area where handheld devices and mobile tablets can benefit QSR operations. Reducing staff requirements, increasing customer satisfaction, and ensuring PCI compliance are secondary benefits to implementing self-service kiosks and the other types of ordering technology that are becoming popular at QSR locations nationwide. Digitizing food safety inspection and temperature logging eliminate paper processes, increasing visibility to minimize risk. Technological advances make reductions in foodborne illness possible and allow better traceability if contamination occurs. Automating receiving reduces labor demands and allows better inventory management to increase accuracy. This integration keeps QSRs from running out of popular items and featured specials. The newly released DS9908 and DS9908R offer amazing performance, high resolution, and lightning fast swipe speed. Innovative haptic HF/HH switching technology automatically adjusts range depending on the mode. It integrates with the DS9808 install base and supports a wide variety of value-added applications such as image capture and form auto-population for a more profitable solution. This all-in-one device includes an HH/HF barcode scanner, EAS tag deactivator, image capture camera, and RFID reader functionality without requiring an external power supply. There are dozens of scenarios in this vertical ranging from more familiar environments like logistics and supply chain environments to inventory management and patient handling. As one of the fastest growing sectors of the economy, new applications are being conceptualized every day. With the increasing move towards state-of-the-art patient rooms, functional care technology must keep pace. Empowering doctors, nurses, and other staff with the same technological advances is an important component of a sustainable integrated care approach. Utilizing mobile workstations and handheld technology allows staff to follow protocols and administer medications safely, reducing the risk of medical errors. It also unites hospital personnel to enable knowledge sharing and collaborative care for better patient outcomes. Specimen collection and tracking rely on effective labeling. With the proper technology in place to support these operations, lab results can be better logged and communicated throughout the healthcare network to other doctors and patients themselves. Unlike other verticals, where unreliable technology can create a hassle or result in lost profits, healthcare requires reliability to preserve patient lives. Limited downtime, quick task completion, extended battery life, and a long lifecycle are all vital in healthcare applications. The HC100 cartridge-based wristband printer is a refresh of the existing model. Easy-to-read, durable z-band wristbands aid in positive patient identification, while PrintSecure technology protects private patient data. A healthcare-compliant power supply and easy to clean unit combine to create a wristband printer that will keep up in even the most demanding, fast-paced environments. The HC100 has upgraded connectivity and is simple to manage and deploy, integrating with Print DNA. A refresh of the QLn Series, the ZQ600 is a premium printer with the highest level of capabilities and performance compared to other Zebra Technologies mobile printers. 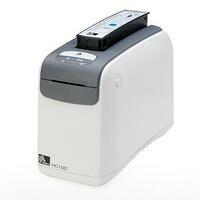 Designed for specimen labeling, it utilizes the latest wireless technology and offers fast-roaming capability. Bluetooth Printer Management provides real-time visibility, while a color LCD allows for easy use. The ZQ600 has 40% higher battery capacity to last for more than a full work shift and uses a sleep mode with instant wakeup to make the battery life last even longer. Lastly, the PowerPrecision+ battery offers battery health information and metrics to keep staff informed. Exponential growth in e-commerce shopping has resulted in larger scale warehousing needs for not only many of the nation’s largest retailers – but for the rapidly growing 3PLs that are providing services like this for the smaller businesses that can’t scale to the same degree as the large retailers. This growth has also led to a shift in consumer expectations regarding product availability and shipping speed. Today’s consumers expect flawless product availability, even during busy seasons, and fast shipping to homes and businesses. Warehouses are in constant pursuit of qualified labor to keep operations running on schedule. Labor shortages, high turnover, and a reliance on temporary workers are the most common issues that warehouse managers face regarding their workforce. Relying on technology that uses the most common operating systems and interfaces allows even less experienced workers to assimilate more quickly. It also increases the likelihood that they will be able to bring in skills that they’ve learned at previous positions. Shifting paper-based warehouses to automated solutions and updating technology is the first step in modernizing. However, progress shouldn’t end there. The goal is to become a future-ready warehouse using next-gen solutions and integrating applications to augment the workforce. This path is where profitability is maximized across operations. 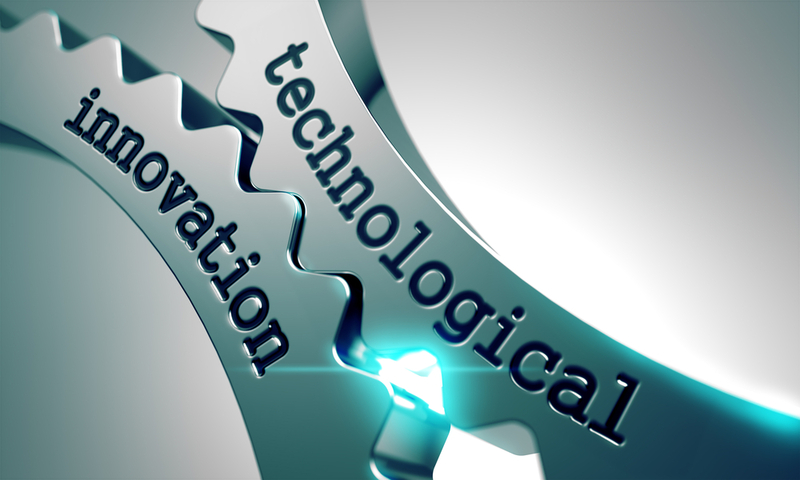 Digitization of the supply chain allows for intelligent fulfillment and better asset visibility. The wide-reaching business benefits that result range from improved customer satisfaction and better returns management to increased worker productivity and manufacturing cost-savings. The DS3608 and DS3678 are ultra-rugged handhelds meant for industrial manufacturing environments. 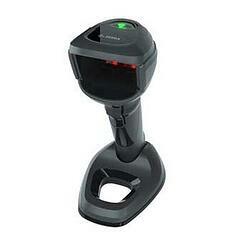 These dependable scanners utilize an advanced illumination system for lightning fast capture of direct part marks. Marks of any size on any surface with any contrast or density can be read with ease. DS3608/DS3678 scanners read 1D and 2D barcodes and have a wider view to read linear codes that are common in some industrial applications. These scanners are specifically designed to help industrial manufacturers meet their track and trace requirements. 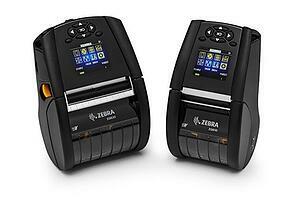 This post features equipment from Zebra Technologies. For a more detailed look at the featured equipment or other Zebra products, contact Advanced Mobile Group, an elite Zebra partner.